1) The most important thing in the Kirtan is the HARE KRSNA MAHA MANTRA. 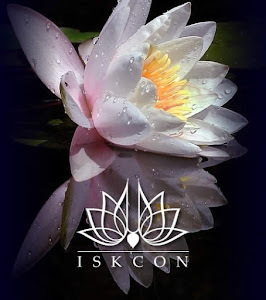 2) Kirtan should be sang for the pleasure of the Lord. 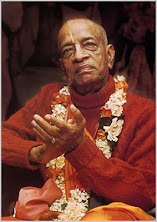 3) Srila Prabhupada taught “Kirtanam and smaraman”, hearing and chanting method. When the kirtan leader chants the audience should be able to hear him. And when they chant, the kirtan leader should be able to hear them. 4) The tune should be a simply tune. It should be a tune that can be easily followed by everyone. No complicated tunes and definitely no Hollywood or bollywood tunes. 5) The kirtan leader should be followed and he should be setting the pace of the kirtan. It is not that he follows the instrument players. The instruments should be played according to the tune sang.. Sometimes the kirtan leader is in New York City and the mrdanga player is Mayapur while the karatalas players are in Vrndavan. 6) The leader of the kirtan should not imitate other kirtan leaders. We can follow in the footsteps of great kirtan leaders but do not imitate. Remember that there can only be one Lokanth Swami, One Viayasaki Prabhu and Only one Kadamba Kanana Swami, etc. So be yourself. Follow in the footsteps but do not imitate. .” If thou art Indian, thou shalt try to sound like a professional bhajan singer. 7) The singer should sing melodiously and should not SCREAM. The whole point of a sound system is to amplify the voice, so there is no need to scream into the microphone. Also screaming and making other noise should not be allowed in kirtans. The only thing that should be heard is the Hare Krsna Maha Mantra.Srila Prabhupada we shold add any thing to Holy name. I had heard him say and heard that he also said, sometimes stopping kirtan, and saying "No screaming and shouting" So kirtan is not, clanging and banging, screaming and shouting. Kirtan is sweet and melodious. 8) The instruments should not be louder than the kirtan leader. The mrdanga should be played with the wrist and not with the fist. One should play the drum not bang the drum. Similarly the karatala and whoppers should be played softly and sweetly like a lady’s ankle bells. . Not cause harm to the ear. We don’t want to dance into the silent world of the deaf. 9) The instruments should be played very rhythmically and melodiously. 10) The kirtan leader and those playing the instrument are not musicians. Their business is to divert the impure mind to the lotus feet of the Lord and create a desire in the heart to serve and love Krsna.